PHOTO: Esteban Lopez | SouthPasadenan.com News | Community members enjoyed appetizers, wine and music, followed by a dinner catered by the Fresh Gourmet, during last Saturday’s ‘For A Love of Chocolate, hosted by the South Pasadena Woman’s Club. 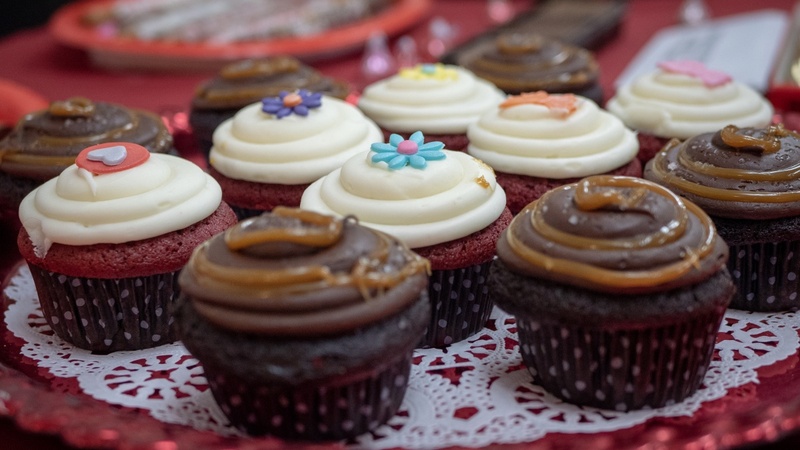 For dessert, guests indulged themselves to their hearts content at an all chocolate treats buffet. 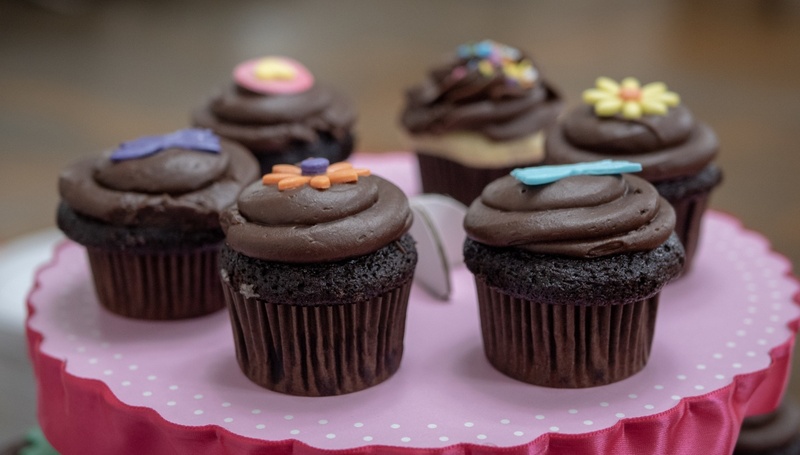 It was an event too delicious to miss. 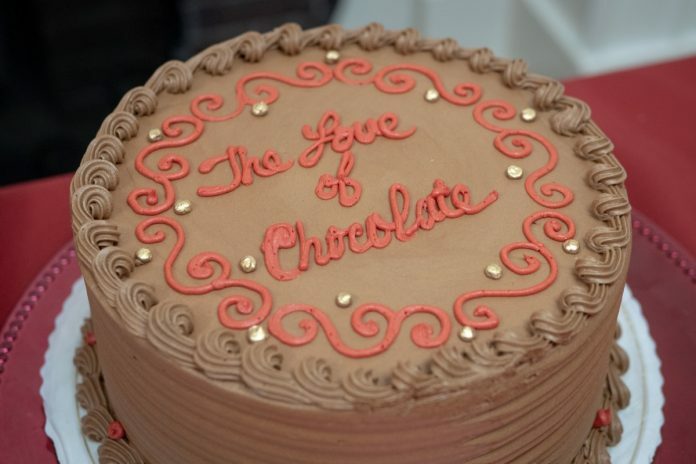 And chocolate lovers won’t soon forget it, following the South Pasadena Woman Club’s festive annual dinner and fundraiser last Saturday night. 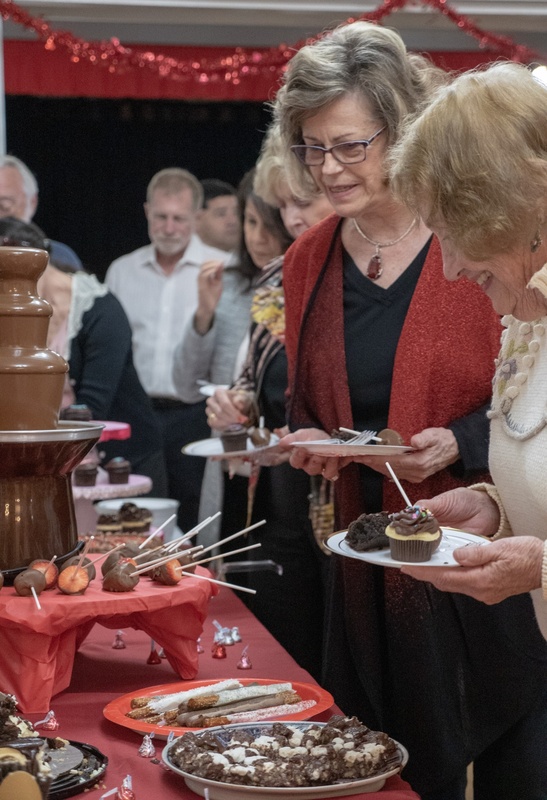 “For the Love of Chocolate,” complete with dinner and entertainment, has become a big hit, enjoyed by many over the years as a precursor to Valentine’s Day. 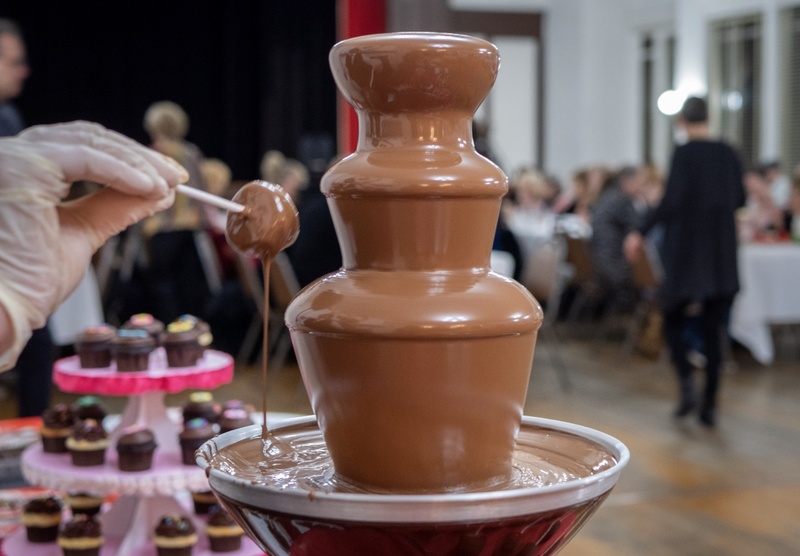 The evening began with a social hour filled with appetizers, wine and music, followed by dinner catered by the Fresh Gourmet before guests indulged themselves at an all chocolate treats buffet. 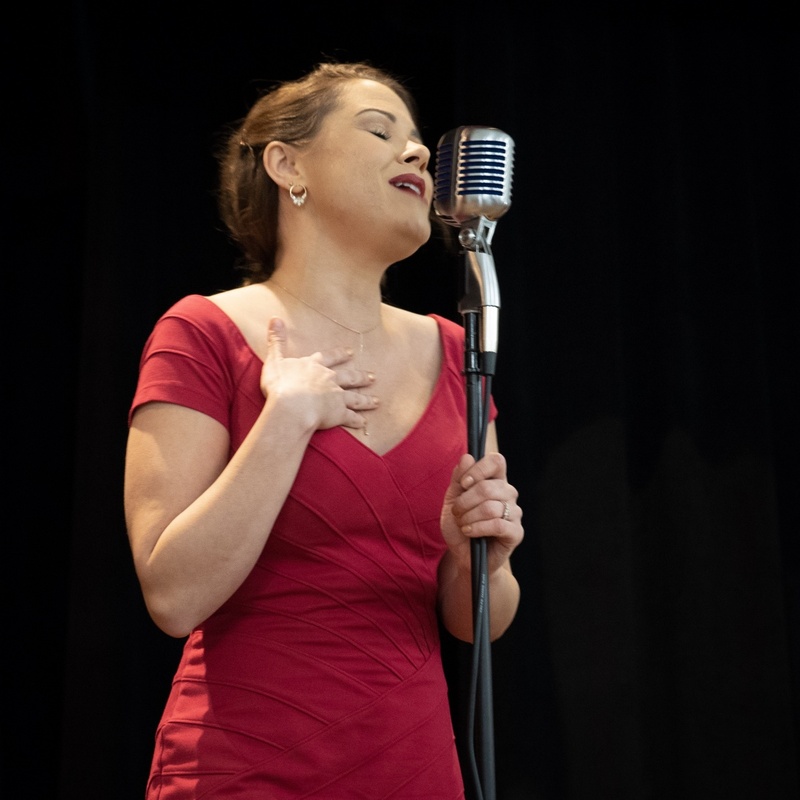 “A Jazzy Valentine,” featuring vocalists, jazz ensemble and jazz tap dancers, performed for guests. The show was produced and choreographed by the San Gabriel Music Theatre. All event proceeds will benefit the Woman Club’s philanthropic and charitable projects, including annual scholarships. 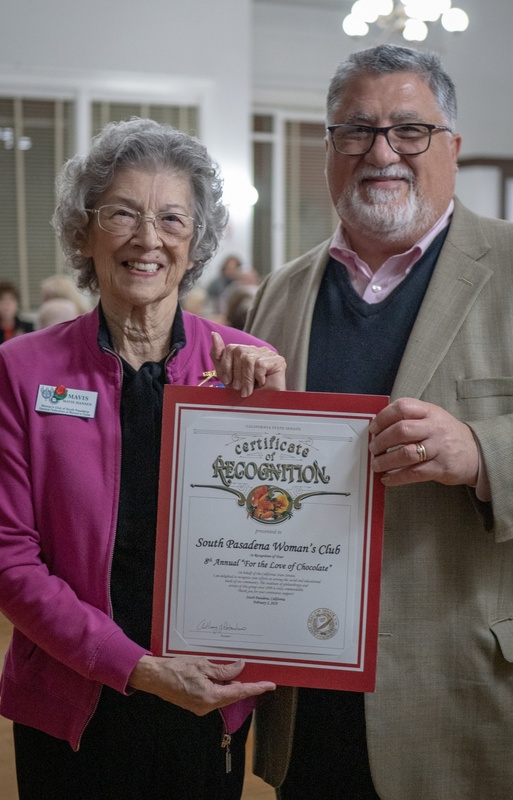 For more about the South Pasadena Woman’s Club, call 323-254-0530 or Email: spwc1899@aol.com.